The Aeroflex-IFR-Marconi 2945B is available to buy refurbished used or rent, usually from our UK stock. Click here to download the Aeroflex-IFR-Marconi 2945B datasheet. 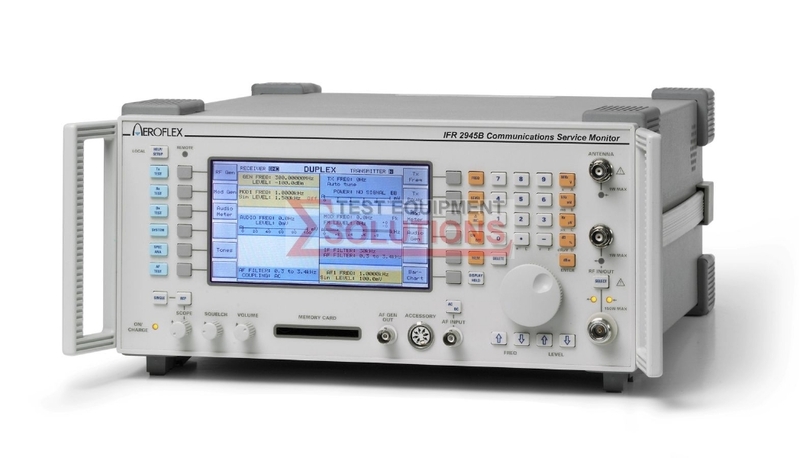 We offer the refurbished used Aeroflex 2945B Radio Comms Test Set for sale and rental. The Aeroflex-IFR-Marconi 2945B is fully tested and refurbished in our in-house ISO9001 calibration laboratory. We supply manuals, accessories, full warranty and a free-of-charge Certificate of Conformity. We can also provide the Aeroflex-IFR-Marconi 2945B with a fresh calibration for a small additional charge. If you have under-utilised test equipment talk to us about trading-in or part-exchanging it towards the Aeroflex-IFR-Marconi 2945B or other refurbished test equipment.